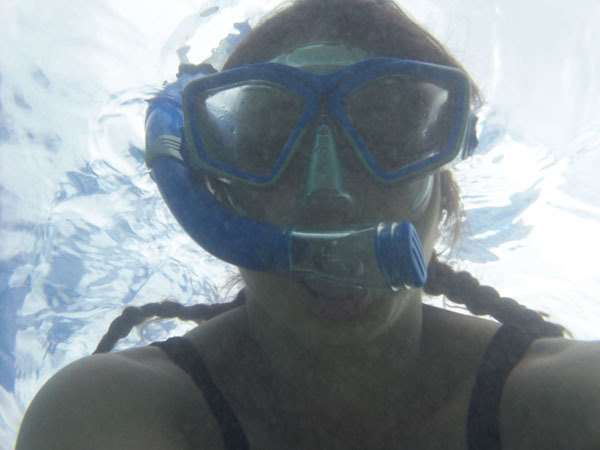 I have never been snorkeling before, but this seemed like a good time to try it. We bought gear at the NEX and practiced in the pool one evening. 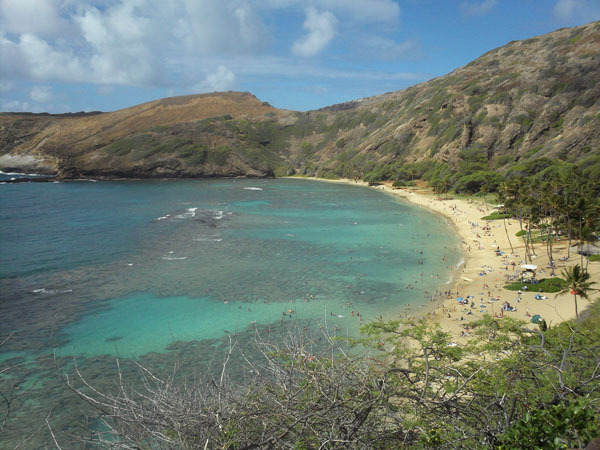 Everyone said one of the best spots is Hanauma Bay so that's where we went. Lots of reefs and fish. 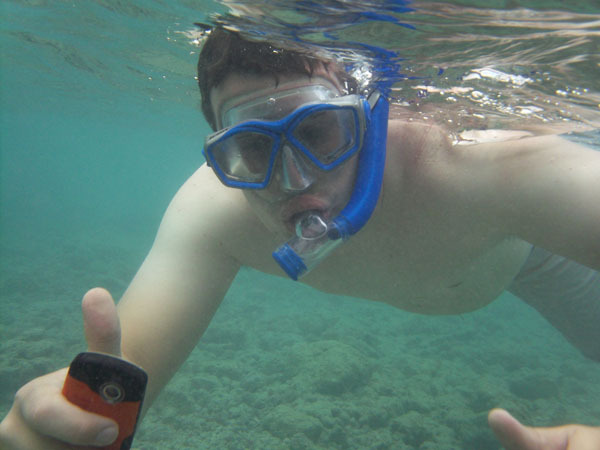 Unfortunately the batteries ran out in my underwater camera so I got a few pics of us snorkeling around. And then two pictures of fish. We bought a neat fish identification book you can take in the water - I think these are Convict Tang aka Manini. 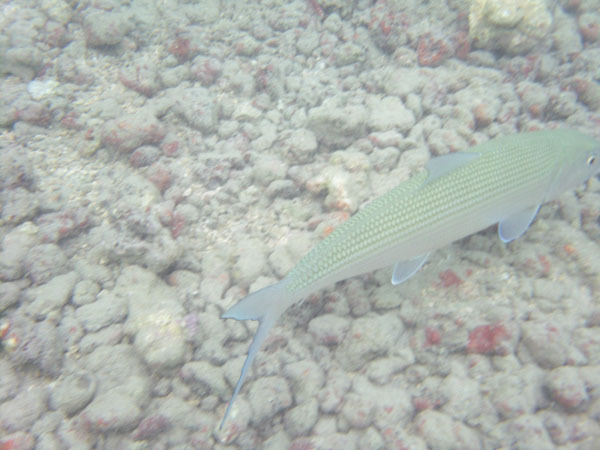 This might be a Ladyfish/awa'aua. And that is it for the fish pictures. 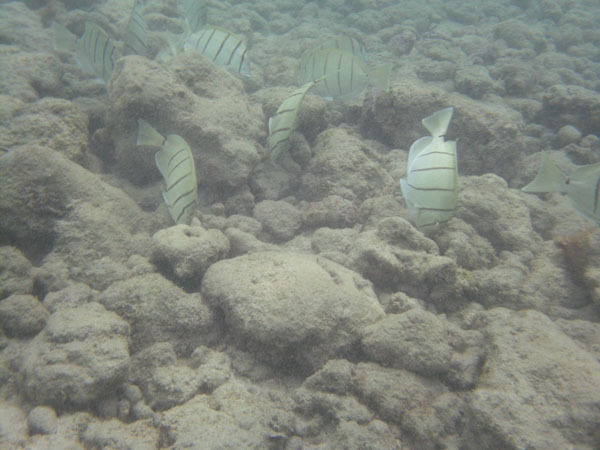 We saw a lot more fish... butterfly fish. parrot fish... each more amazing than the last. But no pictures... we just had to look with our eyeballs, the old fashioned way. We went there! I can even pick out the area where we spent all our time! That was one of my favorite places on our trip!